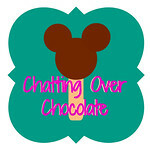 Chatting Over Chocolate: Five Loves on Friday // BEST Week Ever! 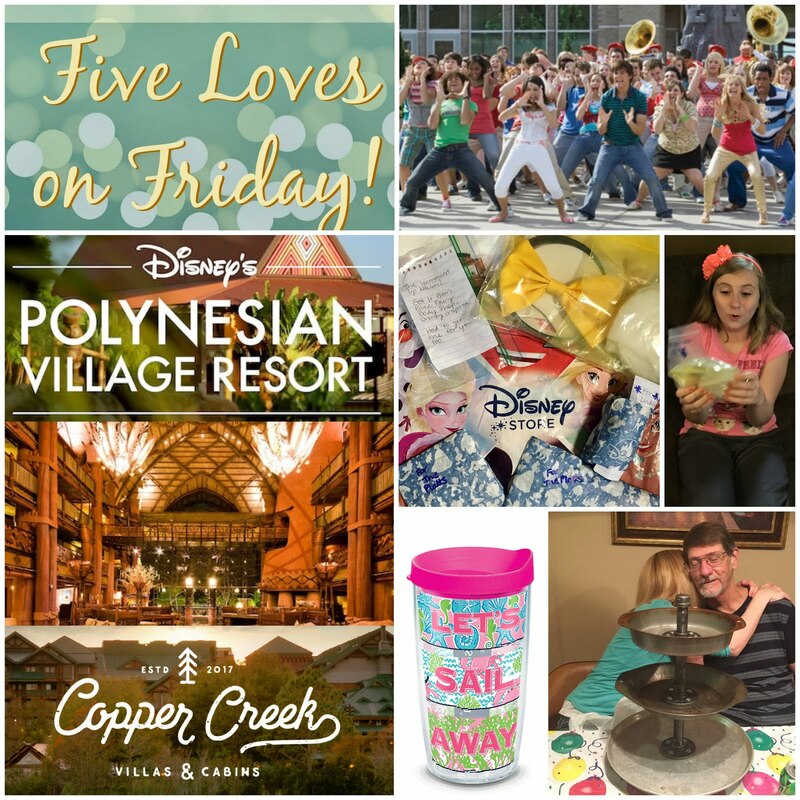 Five Loves on Friday // BEST Week Ever! 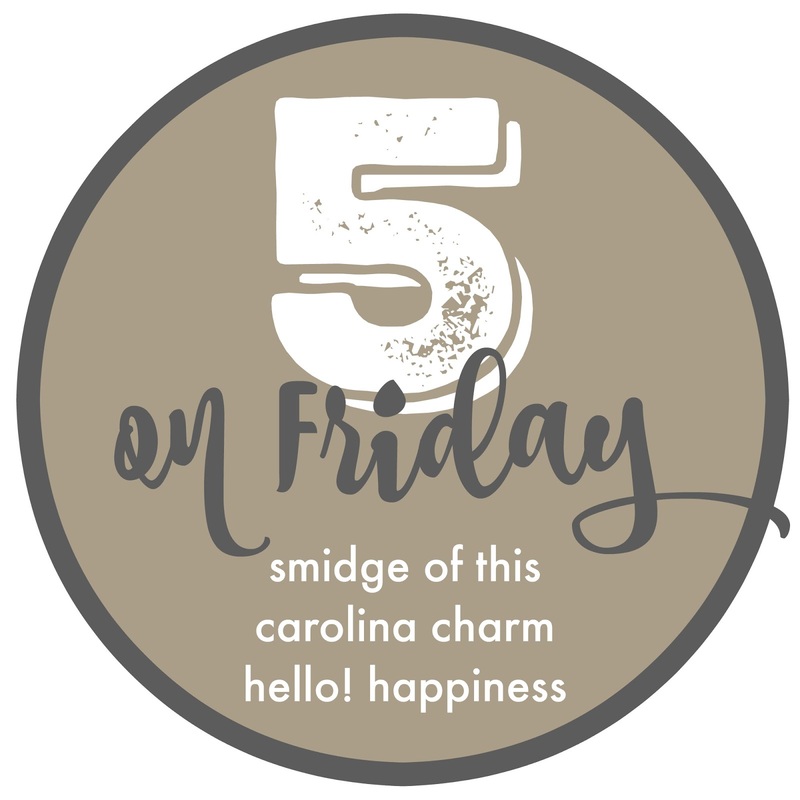 Happy Friday, friends, and that it truly is! Happy, happy, happy! I think this may be the most excited I've been to type up a Five Loves post in quite some time! I have so much goodness to share with you today! It helps that I'm typing it from our new computer chair too! Ahh, sweet comfort! Ready, set, spin, let's do this! We completed our eighth year of homeschooling! I couldn't be more proud of my girls or more excited for the summer fun to come! Monday evening Jason's parents invited us out for a fantastic feast! My father-in-law grilled us up scrumptious steaks that we were talking about them for days afterward. They were perfectly complimented by several sides (bread, potatoes, veggies, and more) whipped up by my sweet and hospitable MIL! We live a ways apart and don't see each other all that often, so it was truly a treat to catch up over all that deliciousness! Since this week marked the start of our summer vacation, the girls were able to stay overnight and enjoy some extra time with grandma and grandpa. The next day they visited their great grandma, took a beautiful stroll around a lake near her home, and went out shopping. I'm thankful we all had an opportunity to enjoy quality time together this week! 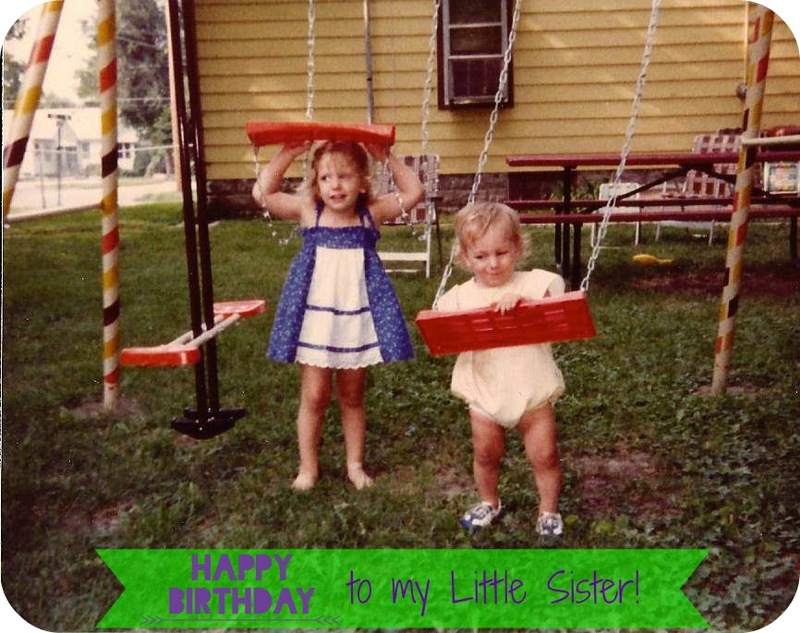 Tuesday was my sister's birthday! Those of you who follow along on instagram may have caught this 80s shot of the two of us I posted in celebration of this fun occasion! We were thrilled that of all the ways she could spend her Special Day, she chose to have her family and my own meet at our parents' place for a birthday bash! We had such a great time together as a family! We laughed til our eyes filled with happy tears, which is always a sign of a day well spent! She received some wonderful gifts, the two I included above were handmade with much thought and even more love! Our dad is such a great craftsman and he created the coolest triple tiered stand for her! I look forward to seeing the ways she decorates it up, surely adorably! My Little One created a watering "can" and even hand painted a design on it in her aunt's favorite color! I hope these gifts, and the gathering of those who love her so very much, made her feel as special as she is to us all! Aren't these buttons SO cute?! They made me even more excited for our next Disney vacay! She ordered them from My Park Flair. Chrissy recently scored a tour of Walt Disney Animation Studios! While there she picked us up this cool pin of Stage 1, where they filmed the original Mouseketeers! Isn't this little Belle she sent Princess the sweetest?! Chrissy makes the cutest mouse ear headbands, as seen in my Trip Report Tuesday post this week! (You can find her Etsy shop here: AdventuresInDIYShop) Shortly after Little One got her own sewing machine Chrissy mentioned the possibility of teaching her how to make her own ears. We LOVED the sound of that, but weren't sure how that'd work with her half the country away from us. What an amazing surprise it was to open this care package and find an "Ear Making Kit" prepared especially for Little One! As you can see from her reactions, she was over the moon about this gift! Chrissy included all of the supplies needed, each prepped and ready to go. Once we'd received the package she emailed us with step-by-step instructions. 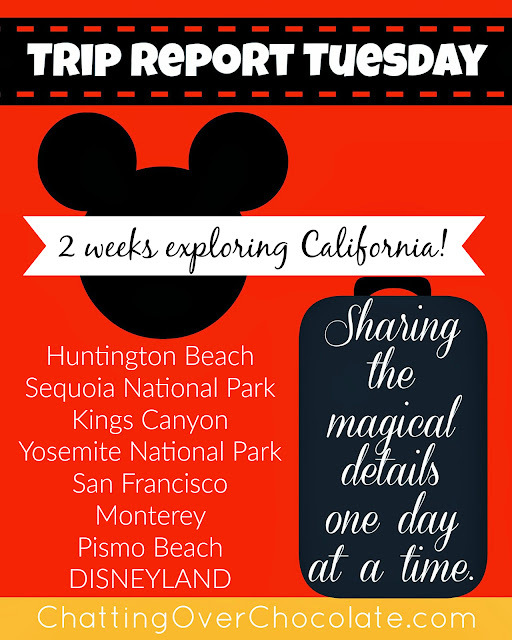 You know you'll be seeing those ears in future trip reports, friends! Next up, the new Tervis tumblers I ordered! 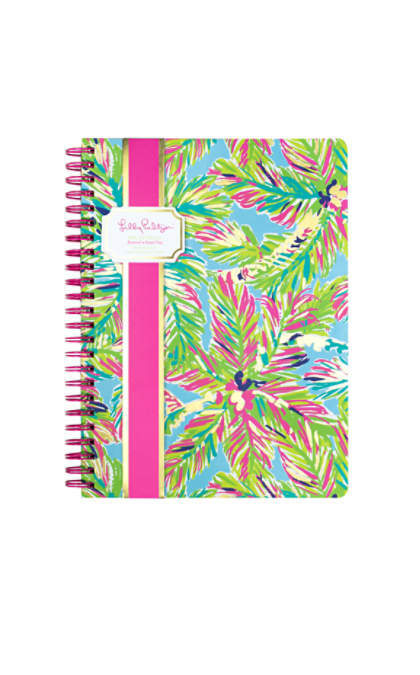 This mini notebook in the same pattern as my blogging planner was calling my name! I anticipate filling its pages with oodles of lovely lists this summer! Lastly, I got a perfectly themed, pink piece for our upcoming lake trip (& all the annual ones to follow). It was on sale, plus purchased during free shipping. How could I resist? Five // We secured our next DISNEY VACATION reservations! 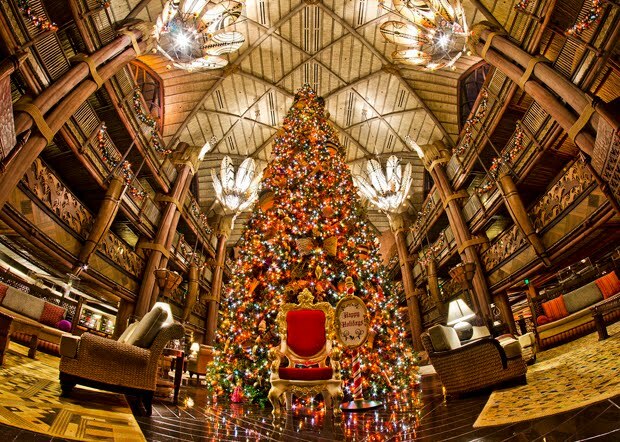 This week we put our 2017 Disney Vacation Club points to very good use booking some beautiful accommodations for our upcoming Disney Christmastime vacation! 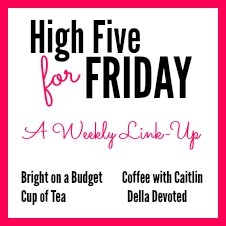 I'm excited to share those deets with you today! We'll begin with a couple evenings at Disney's Polynesian Village Resort! 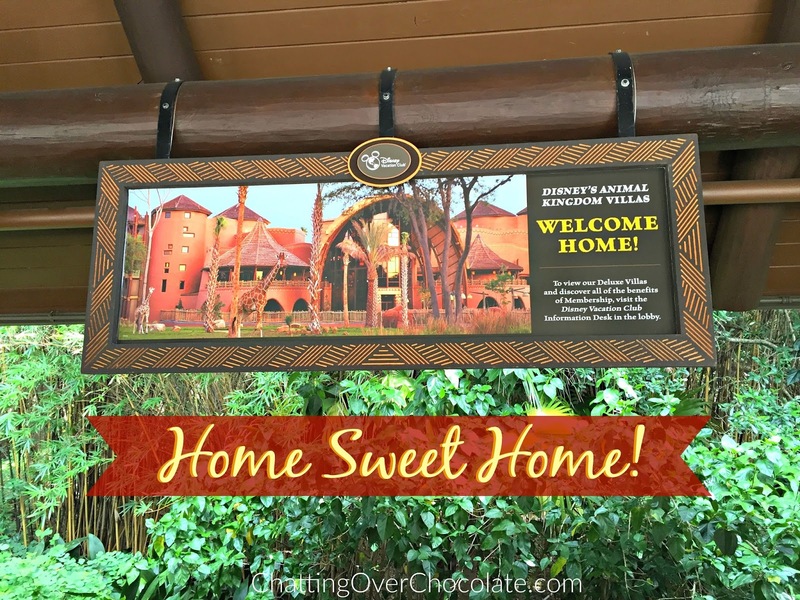 Followed by a few nights at our Disney Vacation Club Home Resort, Animal Kingdom Lodge! 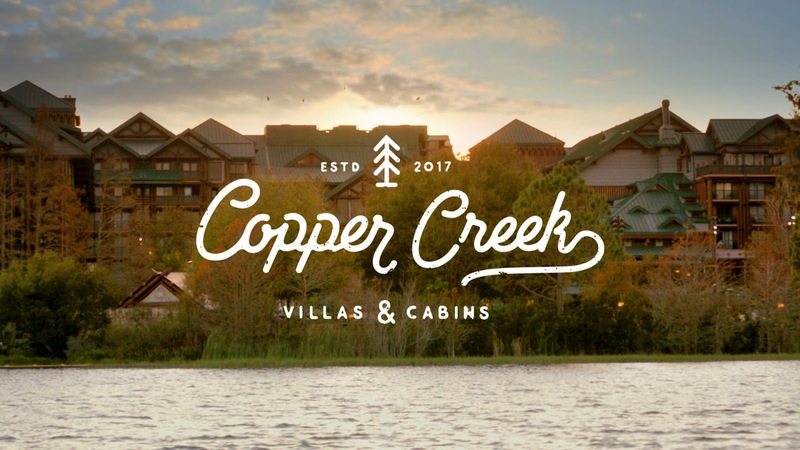 We'll finish our trip with a week at the newest addition to Disney Vacation Club accommodations, Copper Creek Villas at Disney's Wilderness Lodge! These DVC Villas are so new in fact, they aren't even open yet! They'll start "welcoming home" guests this summer. 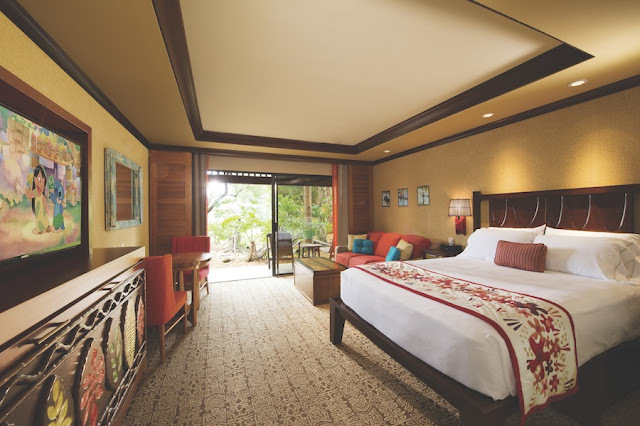 I caught a preview of the resort and couldn't stop swooning over the 1 Bedroom Villas. I was so pleasantly surprised that we were able to score several nights there! *If you are reading this blog post via an email subscription you can view this video here. While we've enjoyed dinner here in the past, we have never stayed at Wilderness Lodge. We couldn't be more excited that our first stay here will be during the Christmas season as Disney Tourist Blog has named it the "undisputed MVP of Christmas at Walt Disney World"! 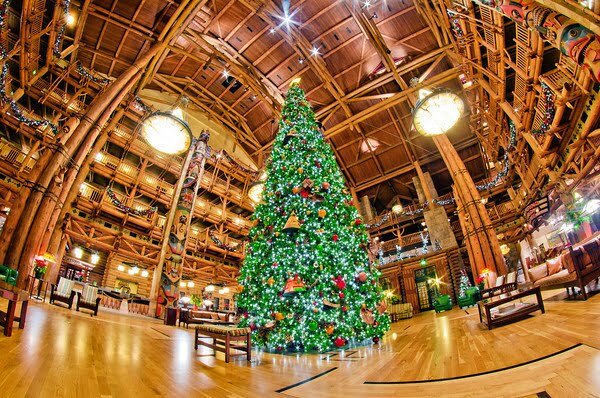 The DVC rooms are located right inside the main building so we'll enjoy this gorgeous tree and festive atmosphere throughout our stay! Thank you so much for stopping by the blog today! It's been a treat to share the joys of this week with you! Wishing you a weekend of wonderfulness straight ahead! Direct Link: Trip Report Tuesday: Cali Day 10 // Our First Day at DISNEYLAND! 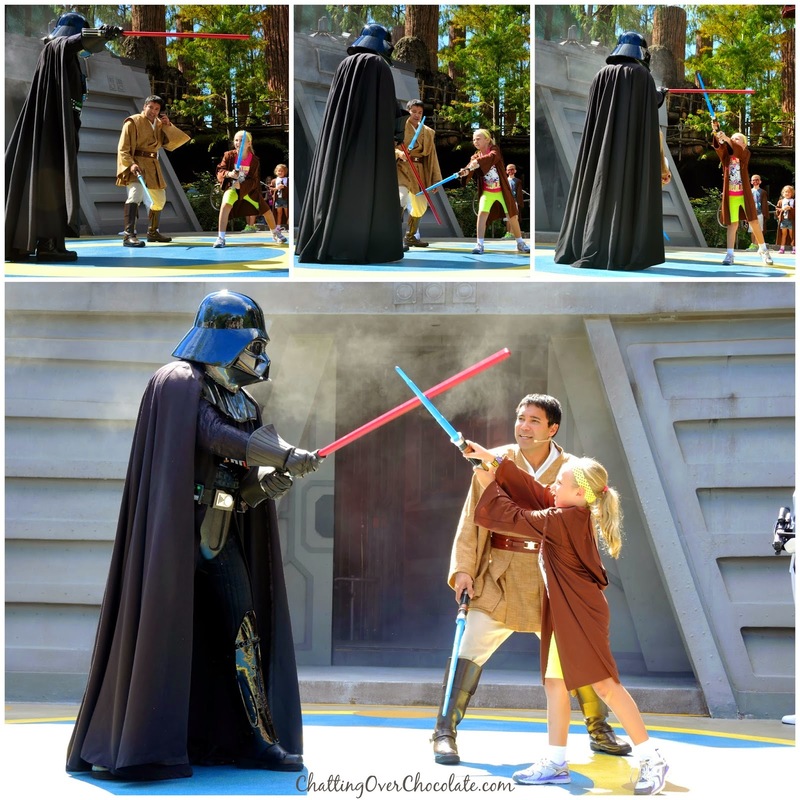 Direct Link: Throwback Thursday // May the 4th be with you! I'm so excited for your next Disney trip! I can only imagine how wonderful Disney is during Christmas! Your friend is so sweet! I love all the gifts that she sent you and can't wait to see the homemade ears that your daughter will make! Congrats on finishing your 8th year of homeschooling and starting your summer vacation! Have a great weekend! So much goodness! Where do I start?? Disney at Christmas time? Awesome! Happy mail? It's the best and I LOVE those buttons! Love the anchor bracelet and the tumblers! And I'm happy you got to celebrate with your sister and enjoy time with your family! Hope your weekend is just as good! Looks like an absolutely amazing week! 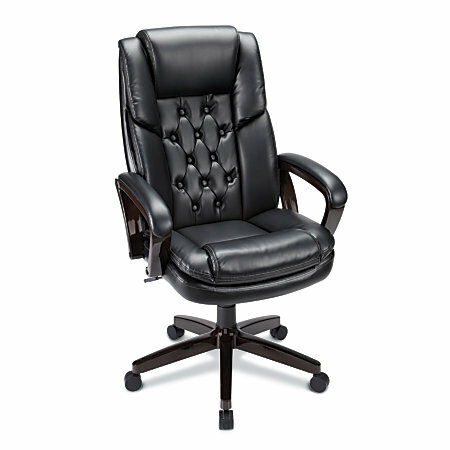 And your new computer chair looks so comfortable. I could use a new one...mine is getting worn out lol Have a great weekend! Whoohoo, Copper Creek looks amazing! What a fab week indeed, yay to finishing up the school studies, such amazing girlies! Your tumbler picks are seriously the best. K, so next time the in-laws have dinner, can I come too,?? YUM! Happy Birthday to your sweet lil sis, bet you are the BEST big sis EVER!! Happy weekend beautiful babe! Happy Friday, Brenda! Looks like you had a wonderful week spent with family. I love the handmade gifts and what a sweet friend you have to send you that wonderful care package filled with all those fantastic goodies! I'm so excited for your next Disney Trip! The Wilderness looks amazing and how exciting to visit during Christmas! Looking forward to hearing all about it! Oh my gosh, so much to love in this post. First off, bloggers that send fun packages are the best!!! Wow, what a great package and so many Disney items in it. Also, so excited to hear you'll be staying at Poly for a bit at Christmas! I have only been to the Wine & Dine in late October and they were already getting some of the Christmas decor out and it was so pretty! Oh my goodness so much happiness in one post. The idea of resort hopping spunds like absolute perfection. Congratulations on finishing your 8th year! I hope to be able to say that some day too! Happy Sunday! OMG so much fun stuff! And YAY for Summertime and trips!!! This really was the best week ever!! Have a great week Brenda!! !